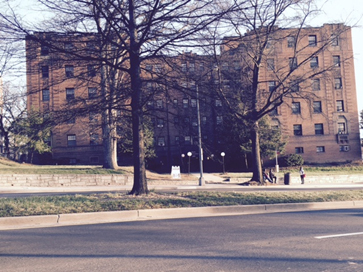 Washington, DC, (July 29, 2015) – Urban Investment Partners (UIP) has acquired Rhode Island Gardens,with 81 apartment homes, for $7.6 million. Originally built in 1931, the property is located at 230 Rhode Island Avenue NE just a half mile from the Rhode Island Avenue Metro station. The seller, Roydun Corporation, was an affiliate of Washington, DC-based DARO Realty, a longtime local apartment owner and manager. CBRE represented the seller. “As with many of our other apartment building renovations, Rhode Island Gardensresidents who stay through the renovation will enjoy a modernized apartment building with no increase in rent,” added Schwat.